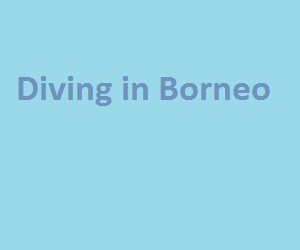 Diving in Borneo has become very popular in recent years. There are some excellent dive destinations in Sabah, Sarawak, Labuan and Kalimantan. Well known dive destinations in Borneo include Pulau Sipadan, Mamut, Mamutik, Layang Layang, Lankayan, Kapalai. Dive Schools and dive operators in Borneo are either located in the major towns of Sabah, Sarawak and Kalimantan, some Borneo dive operators have dive operations on the main dive islands or close by. Several dive operators in Borneo are PADI accredited. Accommodation near the main dive destination varies from large to small dive resorts, hotels, bungalows and homestays. Accommodation at some dive resorts at the most popular dive destinations such as can include full board and often includes some diving as well. Several tour operators can offer dive tours and dive holidays to dive destinations in Sabah, Sarawak, Labuan and Kalimantan. Some of the major dive destinations in Borneo can be difficult to reach and transport can be expensive and time consuming. Several dive operators have a selection of diving gear such as dive masks, fins, BC, etc., for rental. Prices can be high, so renting may only be an option for very heavy diving equipment.